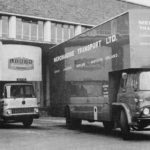 I have been in road transport since 1957 when I became a conductor on the Eastern National on the 251 road from Wood Green down to Southend, eventually going driving. I left the EN in 1962 going onto Lebus to do long distance driving. I left Lebus and went onto DH Transport again to do long distance, eventually I left DH and went down to Cornwall and worked down South Crofty as a tin miner and learnt to handle dynamite and blasting. I eventually finished up back in London working as a driver for London Transport, all this had taken 23 years. I started to collect models and I tried to find a model maker to make for myself a model of some of the vehicles that I had driven over the years. It took me until early this year (2017) to find a model maker that could, it happened quite by accident, I was on eBay when I came across this particular site advertising a 1/76 Routemaster [RML 2403] on the N96 road out of the Leyton garage, a bus that I had driven on that route. I bought a few more from Chris Lambert (LT bus specialist) and eventually asked him if he could do a few more, he did about thirty LT buses all from Leyton and three EN buses on the 251 route, all the vehicles that I had driven got the correct index numbers and the correct routes numbers in my time on PSV (public service vehicle) work. 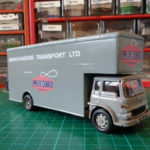 I wanted some of the various lorries that I had driven in my commercial years on the road so I asked Chris it would be passable to recreate some Lebus lorries in model form, he agreed that it would. Back to eBay to find suitable models to turn into Lebus, Corgi do a TK Bedford in Pickford’s livery which would be quite suitable as a vehicle to work with, Chris got four vehicles to make two Lebus, he cuts the body into three, uses the front with the luton puts in a middle and puts the back with the roller shutter onto the front and middle to get the correct length of the body. The next step is to do the same with the chassis then the whole thing is glued together and filled then it is sprayed grey, the decals Chris got from a friend of his who made them up on his computer from some photographs that I sent to him, so basically the models are a cut and shut job something like we did to cars when we were kids! The only lorries that he did not cut in half were the two artics, we left them as they were, Chris did the same with the DH Transport fleet. 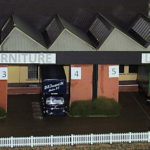 Once the lorries started to arrive I needed somewhere to show them so the Lebus loading bays followed, then the DH Transport garage, all done by searching through eBay for many hours, looking for suitable parts to build a diorama, nearly all the parts came from the UK (I am now living in Canada). Many thanks for your comment about the Lebus diorama, I feel that this story about Lebus should be told for the future generations and I do think that Mustafa is doing a good job about how it was in the furniture manufacturing industry all those sixty years ago in north London I personally grew up within this time in that area. It is also nice that a member of the Lebus family has taken the time and the interest to make a good firm comment about this rather interesting story, there will be a few more models to see soon, many thanks again regards Michael Parsons. What a super thing to have done, and I enjoyed the story behind the pictures. Hello Mustafa.. What an excellent article and great model of the former Harris Lebus garage. 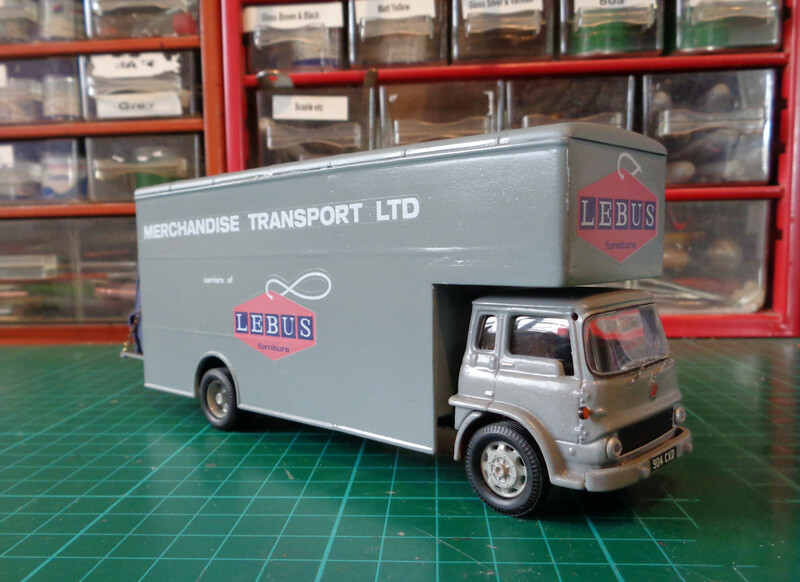 As I previously mentioned, my brother Ray Swain had once worked as a driver for a few local companies and knew quite a number of the local drivers for Lebus and D & H Transport etc. I have sent him an extract from the article by Michael Parsons along with copies of some of the photographs. As expected he was very pleased and excited to have received them and to now read the article which has evoked a few memories of his own. He was very impressed by the models but he said he could not recall having seen any of the articulated vehicles. He pointed out that one of our friends from schooldays named John Lawrence used to drive for D & H Transport for a while. John now lives in Chingford. Ray went on to say that many of the drivers from Lebus and D & H Transport used to frequent Pete’s Cafe in Hale Road, as did a lot of other local furniture company drivers. He tells me that one of my sisters close friends from her days working at Gestetner’s, named Jim Briggs, had a brother who worked for D & H Transport. Apparently he was well known character within the driver’s fraternity and he was known by the nickname of ‘Wozzell’. Ray tells me he was fearless and apparently resembled a well-known TV wrestler of the day named Jackie Pallo and nearly ever local driver knew him. Ray is sure that were you to mention the name to Michael Parsons it will probably be one that he remembers. In answer to your note when I was on D H Transport we had two guys by the name of Ray who we called Big Ray and Little Ray, Big Ray might have been your brother he had an Albion Victor number I can not remember he was a nice guy.I knew Little Ray quite well as we used to go down Kingsland Road for a sherbet or two with Terry and his brother. 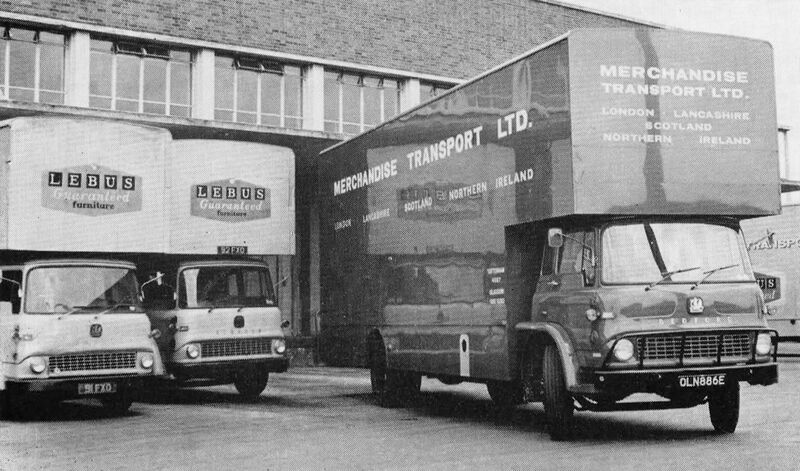 We had two artics one a TK driven by Big Jim a nice guy from Somerset other a J type Bedford driver I can not remember we also had four trailers one flat and two ex Pickford boxes and one rebuilt box with single wheels with which I spent a long Saturday night on the M1 with a blow out. I did know Wozzell but he was very loud and far to loud for myself so I kept out of the way. We did do a lot of new furniture for various clients in the North London area and even return loads of furniture from Nottingham. As for Lebus they had some plain grey trailers along with some Curran Bros trailers for the Irish trip with a TK and a J type Bedford to run any of the trailers up to Preston, Curran Bros was an Irish company but they never came over with any trailers as Lebus units never crossed the Irish sea. I hoe that this gives a we bit of insight into Lebus etc fifty years ago and if your brother was Big Ray pass on my regards, Michael Parsons. Just a second thought in regards to my last blog Little Rays name was Ray Eaton and Terry Legg and his brother you are welcome to answer back to me.